We are thrilled to announce that the Jane Goodall Institute Australia is one of the founding organisations leading the charge in launching the first ever World Chimpanzee Day on 14 July 2018. This day was chosen because it was the very day that Dr. Jane Goodall first set foot in what is now Gombe Stream National Park to observe wild chimpanzees. 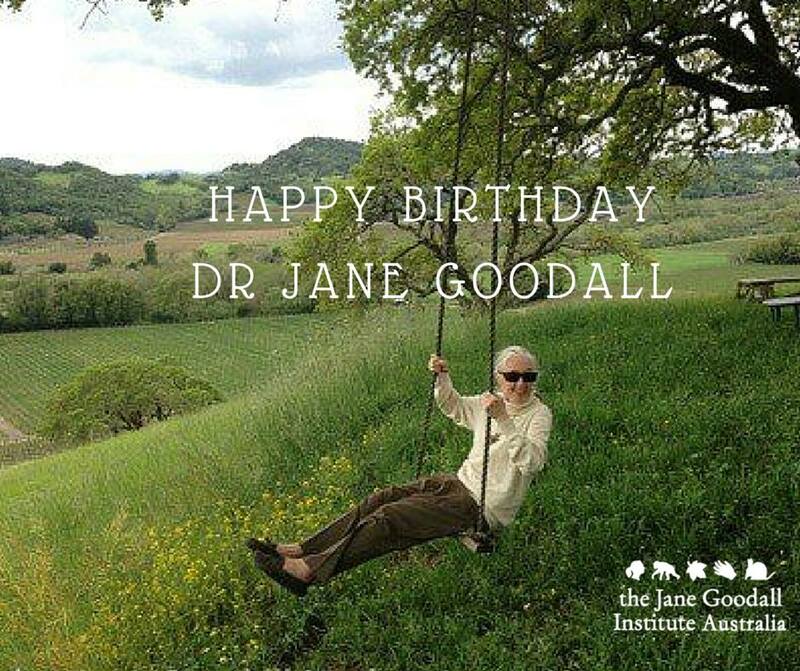 Dr. Jane drew attention to the remarkable chimpanzee and to this day, six decades later, she and all 36 Chapters of JGI still advocate on their behalf. Today, JGI’s continued research in Gombe (the longest running continuous wildlife research project globally) is revealing world-first insights into what it means to be human and even more about our closest living relatives. To honour this, World Chimpanzee Day is a celebration of chimpanzees and an opportunity to raise awareness about the vital need for worldwide participation in their care, protection and conservation in the wild and in captivity. We hope that you will join us in taking action on behalf of chimpanzees to ensure a secure future for this magnificent species. To find out more, visit World Chimpanzee Day and follow JGIA’s Facebook, Instagram, and Twitter pages for updates on local events coming in July.